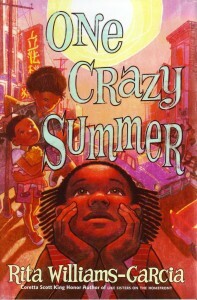 One Crazy Summer the newest young adult book by Rita Williams-Garcia just may be the next Newbery Medal winner. Even though you will have to wait until January to find out if it does win the prestigious book award, you can read the book now. I loved it!